Many outdoor workers get uncomfortably hot during summer. Employers are responsible for providing a safe workplace – free from unsafe exposure to heat that can result in injuries, disease, reduced productivity, and death. Workers who are exposed to extreme heat or work in hot environments indoors or outdoors, or even those engaged in strenuous physical activities may be at risk for heat stress. Occupational exposure to heat can result in injuries, disease, reduced productivity, and death. Exposure to extreme heat can result in occupational illnesses caused by heat stress, including heat stroke, heat exhaustion, heat syncope, heat cramps, heat rashes, or death. Heat can also increase workers’ risk of injuries, as it may result in sweaty palms, fogged-up safety glasses, dizziness, and may reduce brain function responsible for reasoning ability, creating additional hazards. Other heat injuries, such as burns, may occur as a result of contact with hot surfaces, steam, or fire. Those at risk of heat stress include outdoor workers and workers in hot environments, such as fire fighters, bakery workers, farmers, construction workers, miners (particularly surface miners), boiler room workers, and factory workers. The National Integrated Heat Health Information System (NIHHIS) can help decision makers prepare for extreme heat events days, months, and years in the future. In some cases, heat-related illness can occur in temperatures as low as the 70s (°F). The definition of heat stroke has also changed in recent years. Heat stroke is now classified as either classic heat stroke or exertional heat stroke which is more common in workplace settings. Characteristics of the individual (e.g., age and health status), type of activity (e.g., sedentary versus strenuous exertion), and symptoms (e.g., sweating versus dry skin) vary between these two classifications [DOD 2003]. Re-education is needed in the workplace especially about symptoms. Many workers have incorrectly been taught that as long as they were still sweating they were not in danger of heat stroke. A heat stress training program should be in place for all who work in hot environments and their supervisors. Workers and supervisors should be trained about the prevention and first aid of heat-related illness before they begin work in a hot environment and before heat index levels go up. Heat prevention training should be reinforced on hot days. Prevention of heat-related illnesses depends on early recognition of the signs and symptoms of impending heat-related illness and initiation of first aid and corrective procedures at the earliest possible moment. A guide for employers to carry out heat safety training, with lesson plans (tailgate or toolbox talks). Supervisors: Preventing heat-related illness in your workers requires a commitment to monitoring daily temperatures, continual awareness of workers’ level of effort, and heat-illness prevention training. Workers: Learn to recognize signs that you or your coworkers need to cool down. Be ready to seek help if you or your coworkers are disoriented, confused, or slurring speech. OSHA’s Heat Health site offers a free smartphone app to help people monitor their risk of heat illness as well as fact sheets and posters in English and Spanish. OSHA-NIOSH offers an INFOSHEET (PDF) describing symptoms and treatments for heat illness. The Heat Stress Chapter of OSHA’s Technical Manual offers definitions and examples to help supervisors manage heat hazards. When it gets hot, be ready to respond. Additional resources are available. National Integrated Heat Health Information System (NIHHIS) can help decision makers prepare for extreme heat events days, months, and years in the future. Centers for Disease Control – Extreme Heat and Your Health provides information for populations that are vulnerable to high heat, a media toolkit to help spread the word about heat hazards, and other heat-health resources. National Weather Service – Heat Safety Site offers heat safety tips and resources for on the job, indoors, outdoors, and in vehicles. Protecting Workers from the Effects of Heat Fact Sheet (PDF). OSHA Fact Sheet (Publication 3743), (August 2014). Protecting Workers from Heat Illness (PDF). OSHA-NIOSH Heat Illness Info Sheet, (2011). Protecting Yourself From Heat Stress. NIOSH Fast Facts (Publication 2010-114), (April 2010). Heat Stress. 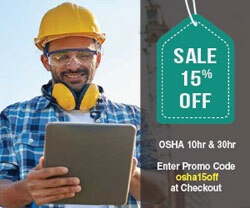 NIOSH Workplace Safety and Health Topics. Frequently Asked Questions (FAQs) about Extreme Heat. Centers for Disease Control and Prevention (CDC) Emergency Preparedness and Response. Beat the Heat: Heat Safety Resources. National Oceanic & Atmospheric Administration’s (NOAA) National Weather Service. California Campaign to Protect Outdoor Workers From Heat Illness. *** Cal/OSHA. Heat Illness Prevention. *** Cal/OSHA, Division of Occupational Safety and Health (DOSH). Heat Illness Prevention eTool. *** Cal/OSHA. Quick Facts for Employees (PDF) (English and Spanish). Oregon OSHA (QF-008 OR-OSHA). Outdoor Heat Exposure (OHE, Heat Stress). *** Washington State Department of Labor and Industries. Website and “Don’t Fry Day”. National Council on Skin Cancer Prevention (NCSCP). Sun Safety. Centers for Disease Control (CDC) Skin Cancer.